Home > Blog > No Hoof, No Horse! 17 Feb No Hoof, No Horse! There is a common saying throughout the equestrian world, “No hoof, No horse!” Many horses cannot perform to their potential because they are suffering from hoof issues that keep them out of work or reduce their proficiency. Nutrition has an immense impact on hoof health however, the importance of regular hoof care such as physical examination, daily picking out of hooves and regular farrier visits must not be under emphasized. It is important to remember that any inadequate diet will eventually be reflected in the horse’s hoof. 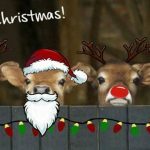 If a diet is deficient in energy, protein, vitamins or minerals then the result could be no energy, a dull coat, poor muscle tone, along with a myriad of other problems among them being the growth of the hoof being slower than normal, resulting in cracks, splits and difficulty keeping a shoe on. If an undernourished horse is then provided with a complete and balanced diet, all of these conditions can gradually be corrected along with an improvement in faster and better hoof horn growth as the horse is now receiving the nutrients required to support this growth. When evaluating a feeding program to address a case of bad feet, firstly look into the total feed (energy) intake. Ensuring that energy requirements are being met as well as not being grossly over exceeded is the most important step in hoof growth and integrity. An over-supply of energy can adversely impact on hoof health most notably by leading to the debilitating disease of laminitis. Secondly, as the hoof wall is mostly comprised of protein it is important to ensure that horses receive an adequate intake of high quality protein. Keratin is an extremely strong protein and is the major component in skin, mane, tail and hooves. Vitamins and minerals are also vitally important and if a deficiency is compromising the health of the horse, then their hooves will deteriorate as well. Additionally, a healthy hindgut is paramount to the overall well-being of the horse. 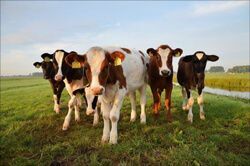 If diets are fed that are too low in forage or if the hindgut environment is disturbed (particularly when lots of uncooked grains are fed and allowed to ferment in the hindgut) then metabolic issues can arise that ultimately compromise hoof health. Vitamin and mineral supplementation must be balanced. For example, feeding too much zinc can also cause a secondary copper deficiency and can result in making hoof quality worse, not better. Some pastures don’t provide enough calcium and phosphorus while almost all Australian pastures don’t contain enough copper, zinc, selenium or iodine to support a horse’s requirements, especially for broodmares and growing horses. These minerals are crucial for bone development, muscle function, hoof health, coat colour and the maintenance of healthy cartilage and a strong immune system. 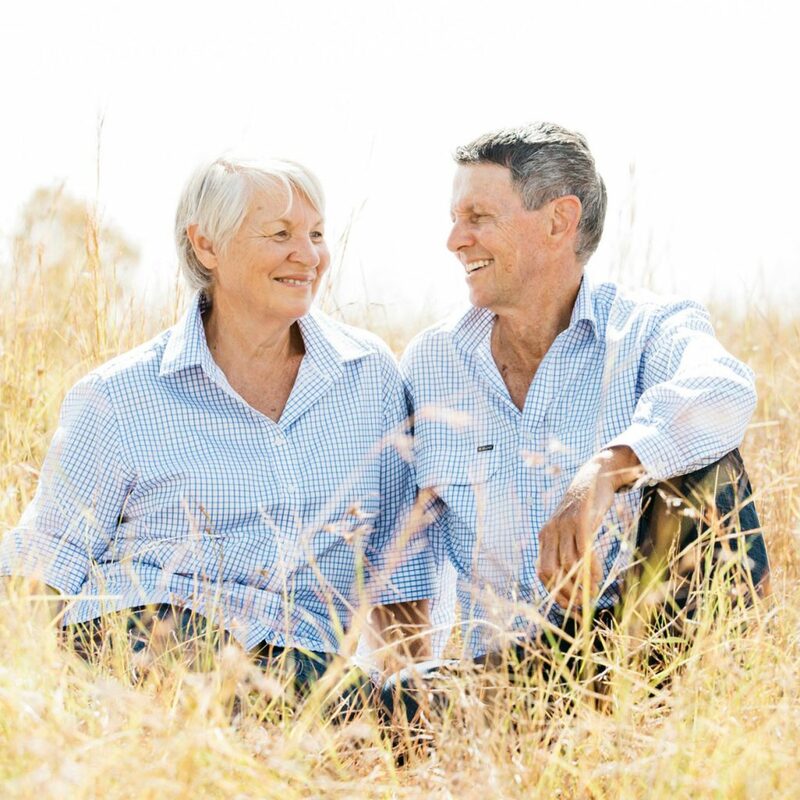 As most Australian pastures are deficient in some way, the simplest way to correct mineral deficiencies is to use a broad spectrum mineral supplement. For horses to benefit from the full nutritional value of any one mineral, adequate quantities of all other minerals must be present in the diet. Mineral supplements are designed to fill the gap left by pastures without adding excess energy to diets that can lead to problems with hoof health. A supplement designed to promote hoof and coat health will be fortified with the following nutrients while maintaining a balanced level of all minerals. When choosing a supplement for hoof health it is important to avoid those that only contain biotin, as there are a number of other nutrients that are also imperative to hoof and coat condition. Biotin is a water soluble B-Group vitamin that is widely used in the horse industry by trainers, veterinarians and farriers. A biotin deficiency will usually appear in a dull, lacklustre coat and cracked, brittle hooves. Interestingly, there has been no published occurrence of biotin deficiency in the horse to date. Despite this, there is a substantial body of research demonstrating that supplementation with 20mg of biotin per day will result in significant improvements to problematic hoof conditions. It can take six to twelve months for positive results to manifest in weak, misshapen and crumbling hoof horn. Methionine is an essential sulphur bearing amino acid that is required to be provided in a horse’s diet as they are not able to produce it themselves. Methionine plays an important role in hoof structure building blocks, particularly of keratin and cell envelope proteins that create cornified hoof wall. Methionine is considered the second most limiting amino acid in the equine diet and a deficiency can negatively impact hoof quality. Methionine works synergistically with biotin to increase the effectiveness of both nutrients. Zinc is essential for the immune system as well as bone, cartilage and hoof formation and the integrity of skin. Zinc is a component of enzymes necessary for the synthesis of keratins, keratin-associated proteins, cell envelope proteins, collagen and lipoproteins that all contribute to hoof strength and function. Zinc deficiencies retard the synthesis of DNA, RNA and protein, and can lead to dry, thickened skin, retarded growth and hair loss. A shortage of zinc can also impair cellular division and growth and repair of connective tissue. Copper influences the strength and rigidity of the outer hoof wall’s fully cornified cells and is an important component of antioxidant enzymes that protect cell membranes. Copper and zinc are the most likely trace minerals to be deficient in the diet. Both are involved in many processes, especially with enzymes which must be present for chemical reactions to occur. If either or both of these trace minerals are deficient then slow hoof growth or thin walls will eventuate. Manganese is involved with carbohydrate and fat metabolism and the formation of chondroitin sulphate in joint cartilage. Chondroitin sulphate is integral to joint cartilage maintenance and bone matrix formation and contributes to the internal hoof structures’ health. Calcium is necessary for cell-to-cell attachment within the hoof horn and for metabolism of intercellular lipids. It is important to maintain the correct calcium to phosphorus ratio (2:1 is the guideline but most importantly that it never falls below 1:1). Vitamin A is a fat-soluble vitamin that plays an important role in cell differentiation and integrity. Deficiency has been reported to contribute to coronary band inflammation. Although most hoof problems are a result of genetic predisposition and bad mechanics, it is generally possible, through correct nutrition and supplementation, to improve the overall health of your horse’s hooves. Hoof health is highly reliant on a balanced diet that meets all requirements and provides plenty of fibre for hindgut fermentation. When considering hoof quality, make sure ALL of the horse’s requirements for energy, protein, minerals and vitamins are met. Adding biotin to a diet that is mineral deficient or contains poor quality protein with inadequate levels of essential amino acids to support hoof growth is not going to work as one nutrient can’t compensate for other kinds of deficiencies. To achieve an improvement in hoof health it is important to combine high quality nutrition along with good animal husbandry practices such as daily picking out of hooves, regular farrier visits, dental checks, ensuring recommended vaccinations are up to date and that parasites are kept under control. Black, A. (1985). Biotin and Equine Structural Soundness. Rutgers Univ. Nutrifacts Hoffman-LaRoche. Buffa, E. V. (1992). Effect of dietary biotin supplement on equine hoof horn growth rate and hardness. Equine Vet J., Suppl. 30(S26). Josseck, H. Z. (1995). Hoof horn abnormalities in Lipizzaner horses and the effect of dietary biotin on macroscopic aspects of hoof horn quality. Equine Vet. J. 27(3): pp.175-182. Kohnke, J. (1999). Feeding Horses in Australia: A Guide for Horse Owners and Managers. Barton ACT: Rural Industries Research and Development Corporation. McDonald, P. E. (2011). Animal Nutrition (Vol. Seventh Edition). Essex: Pearson Education Limited. Promotes overall health while also actively supporting hoof quality, coat condition and gut function. 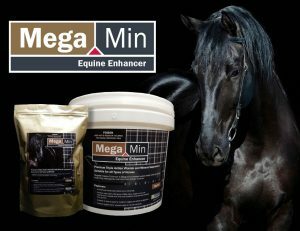 MegaMin Equine Enhancer is a premium triple action vitamin and mineral supplement suitable for all types of horses.